Manufacturer of a wide range of products which include industrial oxygen gas plant, cryogenic oxygen gas plants and oxygen gas plants. We are actively engaged in offering high quality assortment of Industrial Oxygen Gas Plant. Offered product is provided in various customized options and specifications to meet the needs of our valued clients. Moreover, these products are made using superior quality raw material and latest methods of production. Along with that, these products are manufactured under the guidance of highly skilled quality experts and easily available at market leading prices. Owing to our expertise in this field, we are actively engaged in providing a quality assortment of Cryogenic Oxygen Gas Plants. The given product is designed with precision by utilizing hi-end technology and best grade components under the strict vigilance of our skilled personnel. 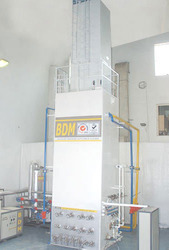 BDM is a leading name in the industry for designing, manufacturing and exporting technologically advanced Oxygen Gas Cylinder Filling Plant to a number of clients located different parts of the world. Available in a number of capacities that range from 50 m³/hr to 5,000 m³hr, the oxygen gas filling systems we fabricate work at 6 to 8 bar using Rotary air compressor. 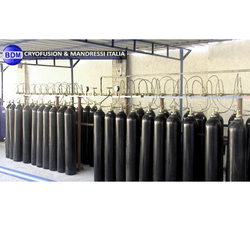 Looking for “Oxygen Gas Plants”?